Sustainable Procurement: Help, my supply chain does not match! vs. Help, my clients want to define my sustainability agenda! Low-budget sustainability: sustainability management without significant investment! Sustainability Reporting: Materiality high³ – determine what you report ! At our booth, as in previous years, we offer comprehensive insights into the diverse possibilities of our software solutions for professional CSR management. Also in the context of a live demo. We look forward to your visit at our booth! Interested parties can register for the conference until the 6th of April on the pages of the DQS. Hanover, 09.01.2018: WeSustain’s Declaration of Conformity opens reporting season of the DNK. Once again, we submitted our DNK Conformity statement. With our 2017 declaration, we were the first to be updated in the DNK database this year. In a Declaration of Conformity, companies report how they comply with the 20 criteria of the DNK or explain plausibly why a criterion may not be reported. The declaration of conformity is entered in the DNK database and can be viewed by anyone who is interested. In particular, financial analysts and investors use this to assess sustainability performance of companies. The German Sustainability Code (DNK) is an internationally applicable reporting standard for sustainability aspects. The Council for Sustainable Development (RNE) decided on the DNK on 13 October 2011 after an upstream, comprehensive stakeholder process. The German Sustainability Code (DNK) provides a framework for reporting on non-financial benefits, which can be used by organizations and companies of all sizes and legal forms. On November 23 and 24, experts from marketing and sales of the insurance industry will be meeting in Cologne for the AMC Fall Meeting 2017. Besides talks about current trends and best practices, recounts of pratical experience for the practice will also be part of the agenda. WeSustain, together with the Fährmannschaft, a consulting firm from Munich, will be presenting the topic “CSR & Insurers” at the meeting. Arno Kunert and Michael Barsakidis, both from WeSustain, will represent us and our WeSustain software both on stage and in the exhibition. On November 23, 2017, at 2.30 pm, Arno Kunert will be speaking on the subject of “Software-supported Sustainability Management: What not only first-time reporters should know” in one of the project forums. The CSR reporting requirement introduced at the beginning of the year as well as recently raised expectations of interest groups increase the need for professional sustainability management – especially in the insurance sector. A specialised csr-software beyond Excel & co saves time and energy and simplifies the reporting process signifcantly, regardless of whether you are a first time reporter or already experienced. Using concrete practical examples, our speaker Arno Kunert will explain successful methods paving the way to more efficiency and target-group orientated communication. The AMC is the moderated network of the insurance sector and its partners. It provides its more than 150 member companies with trends, best practices and experience for marketing and sales. Practice-oriented and with personal access for specialists and executives. 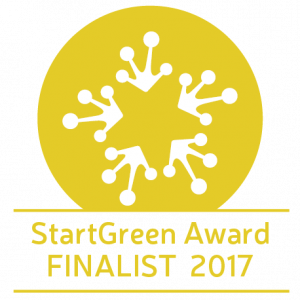 Berlin, 16.11.2017: We’re pleased to announce that WeSustain has been nominated for the final round of this year’s StartGreen Award – the national top prize for the green founder community in Germany. For the third time, all finalists were invited to pitch in front a jury of experts at the Berlin Ministry of Environment, and to attend the subsequent exhibition in the Network Forum, both taking place on November 16, 2017. 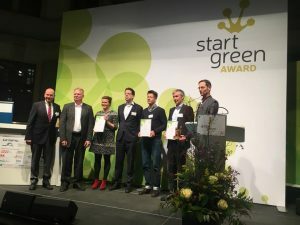 WeSustain was able to celebrate its entry into the final after delivering a successful presentation during both the application phase and the public voting within the green community. measuring sustainability performance, supporting audit processes or tracking supply chains. By now, more than 500 companies from all industries successfully use WeSustain software for their csr management. ative of the Borderstep Institute for Innovation and Sustainability. Patron is Federal Minister of the Environment Dr. med. Barbara Hendricks.